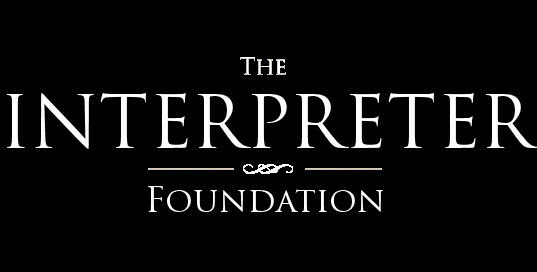 In this special roundtable discussion, The Interpreter Foundation has brought together three experts on the history and practice of plural marriage within Church History. Craig L. Foster, Brian C. Hales, and Gregory L. Smith have all published and presented widely on this topic. 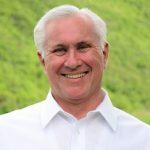 They come together here to hold a panel, moderated by Andrew C. Smith, to discuss some of the more complex and potentially poorly understood aspects connected with plural marriage and its place within the LDS context. and the accusations and rhetoric used against Joseph Smith and other leaders for their practice of polygamy. The discussion ends with some practical suggestions for us in the Church today: why should we know the details of the early Church history of polygamy more than a century after the fact and how can we talk about this polygamous history better in the Church. Newell G. Bringhurst and Craig L. Foster, (eds. ), The Persistence of Polygamy: Joseph Smith and the Origins of Mormon Polygamy, (Independence, Missouri: John Whitmer Books, 2010). Newell G. Bringhurst and Craig L. Foster, (eds. ), The Persistence of Polygamy: From the Martyrdom of Joseph Smith to the First Manifesto, (Independence, Missouri: John Whitmer Books, 2013). Not yet published. Brian C. Hales and Don Bradley, Joseph Smith’s Polygamy, (Salt Lake City, Utah: Greg Kofford Books, 2013). Volumes 1, 2, 3. Another Interview with Brian Hales and Greg Smith on polygamy at the FAIR Examination. Greg Smith, “Everything You Always Wanted to Know About Plural Marriage* (*but were afraid to ask),” 11th annual FAIR Conference, 7 Aug 2009.
https://eom.byu.edu/index.php/Smith,_Joseph (some mentions in the biographical entry). Well, for what it is worth, I have found that Joseph Smith again allowed his condemnation of polygamy to go into the 1844 Doctrine and Covenants, only this time it was in section 109, verse 4. One has to ask if everything we’ve been told that Joseph Smith said and did regarding polygamy was just hearsay from others who supported the practice? Where are the scholars who presented this discussion, by the way? I did ask and am curious to know if there is anything “on record” from Joseph Smith in which he did not condemn polygamy. Did he ever teach it or speak favorably of it publicly, or was it all supposedly taught and practiced in secret? So far, I have found no evidence that Joseph actually taught plural marriage other than the words of others who *said* that he taught and practiced it. Ellen—Thank you for your reply to my comment: “‘Better to be one wife in 100 of a righteous man than the only wife of a scoundrel.” Are those our only choices? Very young women needed to marry middle-aged men because otherwise they might marry scoundrels? “ I have thought hard about your questions, and have realized that I may have some unique insights. At the present, of course, plural marriage and marriage to a scoundrel are not our only life choices. Neither were these the only choices when plural marriage was being practiced. Isaiah 10:21 (2 Nephi 20:20-21) “The remnant shall return, even the remnant of Jacob, unto the mighty God. Three years later, just a few months after it was legal for me to do so without my parents’ consent, I began a 43 year marriage, which ended when my husband died five years ago at age 83. He was also not a Latter-day Saint when we married, although he did have an interest, which I had no intention of encouraging. But when I was ready eight years later, we joined the Church together, and I am eternally grateful for that, as well as many other important things I learned from him during our years together. I know that I also had a positive influence in his life. Because of my experience, I know that other young women, like Helen Mar Kimball, could truly have known that marriage to a middle-aged man was the course their life was to take. Ellen F – Thanks for sharing such an interesting personal story. My real point with my statement wasn’t that young girls would marry middle-aged men, but that multiple young girls (and getting younger all the time vis-a-vis the man’s age) would marry the same older man because. . . . .why? Those 2nd, 3rd. . . . .8th, 9th. . . ..15th, 16th YOUNG women needed to be headed off at the pass before they marry scoundrels? I also tend to look with suspicion at any interpretation of BY’s statements as concern for women. His thinking about marriage boggles the mind – e.g., monogamy as the cause of prostitution and whoredoms? So harsh, all of it. I think that each of us has the choice of whether or not to accept what a prophet says, or whether or not to ask for a testimony of what may seem difficult to accept. What to you seems harsh does not seem so to me. Thanks to all for an enlightening discussion. I am days late in making a comment, but if any of the experts are still available I have a couple questions. Did Joseph ever use the plural marriage commandment before, during or immediately after as a way to explain or defend the Fanny Alger incident ? Isn’t it just assumed that because Joseph taught plural marriage ten year later, that this must have been a plural marriage also? And why would he not have given some explanation to his poor wife, and to poor Oliver Cowdry? Am I wrong in my understanding that the Fanny Alger affair was the principal reason for Olivers excommunication? Was Fanny Alger also the principal reason that David Whitmer considered Joseph a fallen prophet? Did Joseph ever actually publish or publicly say anything but to condemn polygamy? Were all of his “teachings” on polygamy given in secret, and do we only have the words of others as we piece together the puzzle of what really happened? I personally believe that Joseph never lied . . . not to the public, not to the saints, and never, ever to his wife. On her deathbed Emma said that Joseph never taught nor practiced polygamy, at least not so far as she ever knew. That doesn’t exactly fit with the narrative given by the historians who quote the historians who quote everyone but Joseph. Lyndon Cook, in the notes to his comments on Section 132 in “The Revelations of Joseph Smith,” provides answers to some of your questions. It appears that Oliver Cowdery, and not Joseph Smith, was the author of the prior section you mention, and that, in fact it was only included “contrary to the thrice expressed wish and refusal of the Prophet Jos. Smith.” Joseph F. Smith also indicates that Cowdery wrote it purely for public consumption to counteract the furor he himself had caused by his own indiscretion in prematurely revealing the principle of plural marriage. Cook, Lyndon W. “Sections 73-138.” The Revelations of the Prophet Joseph Smith. Salt Lake City: Deseret Book, 1981. 151-307. Thanks so much for this. Just to clarify, which section are you referring to — 101 or 132, when you say that Oliver wrote it and thrice . . . who requested what exactly, and who denied? Are you saying that 101 (later 109) was wrongly included in the Doctrine and Covenants? Yet again, none of this is in Joseph’s own words. All we really have to go on is what others (who accepted and lived polygamy) said about him. It was pointed out that most of the saints in Nauvoo didn’t even know about it, so successful was Joseph at leading a double life, supposedly. I find that hard to believe, but perhaps there were some others leading a double life, who knows? Have any of the panelists heard of Joseph being sealed to women posthumously? In other words, the woman was still among the living but Joseph Smith had already died, but someone stood in for Joseph in the sealing ceremony. According to my wife, she has an ancestor that was sealed to Joseph Smith after his death. Any truth to that idea? I am an adult female convert to The Church of Jesus Christ of Latter-day Saints. I had been a feminist since the age of 7, as I tried to make sense of God as taught by my preacher father. It seemed that God did not like women, and they were condemned while men were not for similar behaviors. Polygamy was one of two issues that had prevented me from investigating the Church, until I prayed my most significant prayer ever: “Don’t let me shut it out until I give it a chance.” What I learned changed my life forever for the better. Men and women have the same standing before our Father. A single standard of morality is what He upholds and requires. I did not have an answer to my concerns about polygamy yet, but I had gained enough of a testimony that I joined the Church. 2 months later, President Kimball asked that we write letters against The Equal Rights Amendment. I knew that for me this was a crossroads–I chose to write the letter. Over the next 18 months I researched as much as I could about polygamy. I believe it was in The Journal of Discourses that I came across a quote that put my mind at rest [I do not remember who it was attributed to, nor have I been able to find it in later years] : “Better to be one wife in 100 of a righteous man than the only wife of a scoundrel.” That rang true to me, and I have often had occasion to reflect upon the truthfulness of that statement. As I was doing research years ago for an oral history project with other female adult converts, I came across evidence that it was the issue of polygamy which made Mormonism known around the world from a very early time period. For me this may be another reason why the Lord required this practice at the time. I love the wonderful doctrines of the Restoration. I love family history and temple work. Should I be called upon by God through Church leaders to practice plural marriage, I hope I would do my best to make it a joyful experience for all involved. Women united can be a wonderful force for good. I have been so pleased to read and listen to the articles/talks by Sister Valerie Hudson Cassler. Her comments in the panel discussion at the 2013 Fair conference remind us that the final word has not yet been revealed–and even better things are coming as we prepare for the return of the Savior. I simply want to bear my testimony that Heavenly Father lives. He loves His daughters as well as His sons, and He blesses us through His Beloved Son, Jesus Christ. SEXUAL POLYANDRY: WAS IT PART OF JOSEPH SMITH PLURAL MARRIAGES? Proponents of the position that Joseph Smith practiced sexual polyandry, the overriding question that helps delineate the problem with their interpretations is whether such relations were part of Joseph Smith’s marriage theology or were they in contradiction to that theology. In other words, do proponents of sexual polyandry believe that Joseph taught his followers that it was morally acceptable? Or did Joseph Smith teach that such behavior would have been grossly immoral? If sexual polyandry was adultery, then where are the expressed concerns or criticisms from skeptical participants and others who may have been more cynical? Is it possible to believe that Joseph was so authoritative and charismatic and that participants were so gullible that no one complained of his blatant hypocrisy? (And no one did.) Also, why didn’t John C. Bennett or William Law capitalize on such alleged relations? The first charge of sexual polyandry I have found by any person was published in 1850. Of the 14 civilly married women, I believe 11 of the unions were of this type: “eternity only” sealings. The 3 remaining women were sealed for “time and eternity,” which probably included sexual relations with Joseph. Two (Sarah Ann Whitney and Sylvia Sessions) were already physically separated from their legal husbands, so no change in marital dynamics between them and their civil husbands was required. Information regarding Joseph’s relationship with the third woman, Mary Heron, is so limited that anyone giving details is simply speculating. The question arises as to why women would be sealed to Joseph Smith instead of their legal spouses? In several cases, the husbands were ineligible because they were not active Mormons. However, some of the women were married to devout Latter-day Saints. Evidence indicates that in each case, the woman made the decision. Lucy Walker remembered the Prophet’s counsel: “A woman would have her choice, this was a privilege that could not be denied her.” The lack of clarifying documents creates an incomplete picture that seems strange in several respects. However, nothing currently available supports that Joseph behaved hypocritically or committed transgression. None of the participants, the men or women who knew the details of what was going on, ever complained about Joseph Smith allowing these sealings. Stories that Joseph Smith forced women to marry him are sometimes repeated in antagonistic literature, but they are not supported by available historical evidences. One popular anti-Mormon narrative recounts how Joseph Smith met a woman and gave her 24 hours to comply or she would be cut off forever. The story is folklore, but it is based upon the introduction of the previously unmarried Lucy Walker to plural marriage. This aroused every drop of Scotch in my veins. For a few moments I stood fearless before him, and looked him in the eye… I had been speechless, but at last found utterance and said: “Although you are a prophet of God you could not induce me to take a step of so great importance, unless I knew that God approved my course. I would rather die. I have tried to pray but received no comfort, no light,” and emphatically forbid him speaking again to me on this subject. Every feeling of my soul revolted against it. One night after supper I went out into the orchard and I kneeled down and prayed to God for information. After praying I arose and walked around the orchard and kneeled again and repeated this during the night. Finally as I was praying the last time, an angel of the Lord appeared to me and told me that the principle was of God and for me to accept it. Joseph Smith’s sealings to other men’s wives are confusing because two processes were involved. Most were “eternity only” sealings, but in some, the woman was already physically separated from her civil husband requiring no change in the woman’s marital dynamic. Sealings for “time and eternity” superseded legal marriages so that in Joseph’s teachings, no woman could have two husbands. The women chose Joseph as their eternal husband with no evidence that he ever coerced a woman to marry him. These sealings seem strange, but no one complained about it at the time, so are we justified in second guessing today? This is consistent with the remark of Jacob, brother of Nephi, when he said, “For there shall not any man among you have save it be one wife; and concubines he shall have none…For if I will, saith the Lord of Hosts, raise up seed unto me, I will command my people; otherwise they shall hearken unto these things” (Jacob 2:27, 30). There is only one exception to the rule of “one man, one wife,” and that is the requirement of quickly increasing the population of the righteous, by commandment of the Lord. Therefore it is highly unlikely that the Church will restore polygamy again in the latter days even if it becomes legalized, which it probably will. As Isaiah prophesied, “And in that day seven women shall take hold of one man, saying, We will eat our own bread, and wear our own apparel: only let us be called by thy name, to take away our reproach” (Isaiah 4:1). This is probably not the Church practicing polygamy because in the Church it is still the prime responsibility of the husband to provide for his family. “By divine design, fathers are to preside over their families in love and righteousness and are responsible to provide the necessities of life and protection for their families” (The Family: A Proclamation To The World). Great comment! I’d love to use that story about Pres Kimball at the MTC. Do you know where I can find it? If it was in the Ensign I should be able to find it on lds.org. Thanks for your help. I, too, rarely have patience for listening or watching, preferring (because of a life-long disability not discovered until my old age, when it was of no use to me as an excuse) to learn by reading. So thanks for these tips on automated transcriptions. But I watched this entire video and am thankful to each of you for your contributions. I am so happy that faithful LDS scholars are finding the sources that document the consistent goodness and virtue of the prophet Joseph Smith. Clearly polygamy was, for him and his followers, a sacrifice on the same level as Abraham’s. I, too, descend from many polygamists and would not be here but for their faithfulness, but I am thankful that I have not been called upon to make that sacrifice. I enjoyed and appreciated the information presented by the panel. Has anyone addressed the reasons for and basis of the continuing practice of polygamy by the Fundamentalist groups? They must not recognize the Manifesto as a mandate to discontinue practicing polygamy. Do we understand why and what their thinking is on this matter? Brian Hales, one of our panelists, has probably done the most work on the Fundamentalist movement and their plural marriage. Craig Foster has also done a great deal of work with that group. Brian’s books have won awards. He has a website here that has information, as well as links to the books if you’re interested in further information. I may not be doing her justice, but Victoria Hudson Cassler says that if God commands me to practice polygamy in this life, I can rest assured that He will make it up to me. She says that wrong-headed thinking about polygamy is harming out people and that cultural misinterpretations need to be rooted out lest they cause great spiritual mischief. Speaking for myself, there was much more harm and mischief in my life when I thought that the loving God of this universe dictated Section 132. And I say that with respect, and with a great deal of sadness. Oops, my apologies. Valerie, not Victoria. I feel nothing resembling the spirit when I read this. Pushing commentary like this upon LDS women would not be a good move, in my opinion. And if this IS the position of the church, I think withholding this information from investigators and the youth as they prepare for serious covenants is not right. It should be for the person to decide whether the “mere” possibility of polygamy mattered to him/her. I can sympathize that there will be different views on such things. I could quibble, for example, with some of Sister/Doctor Hudson’s take on a few historical points, and that’s ok.
There’s very little “official” material on this topic, save D&C 132. That’s not surprising since it isn’t practiced today, so there hasn’t been a pressing need. If people are troubled, I think revelation the best means to settle their concerns. Part of that process is “studying it out in our minds,” which can involve hearing what others have thought and written about the topic. We provide these links for perspective and personal study–they are not official Church documents, and having heard Dr./Sister Hudson speak I’m sure she doesn’t regard her work as such. Her perspective has been helpful for many women and men, but it isn’t the only way to look at it. For those who don’t think D&C 132 is scripture or of divine origin, I don’t think that’s necessarily a great stumbling block unless that belief leads them to conclude that the Church is not the restored vehicle for Christ’s gospel, or that genuine and exclusive priesthood authority is not lodged here. We all probably have some views that aren’t quite right; what matters in my opinion is keeping our covenants by which we maintain a relationship with God and his Son. I trust God will help us understand anything that is necessary for us. We should, I feel, not judge each other harshly on these matters, particularly when we know so relatively little. So, the varied reactions to Sis/Dr Hudson’s take on things is to be expected, and can be a healthy thing, I think. I understand that you’ve provided food for thought and not official church documents, but I am very wary because I sense in the Square Two papers a “new” logic regarding polygamy that seems poised for release to general membership via a church-approved route. The feeling that I – just one woman, I know – get from it is that polygamy is a Abrahamic sacrifice, required by God whenever he commands, case closed. And if you don’t accept it, you’re into spiritual mischief. Maybe I am way off base. You write: “For those who don’t think D&C 132 is scripture or of divine origin, I don’t think that’s necessarilly a great stumbling block unless it leads them to conclude that the church is not the restored vehicle for Christ’s gospel, or that genuine and exclusive priesthood authority is not lodged here.” This. This is what people need to know. But this is not message I receive at church, in the culture, or in the curriculum. I have no desire to disengage from the church. None. But a ramped-up expectation that LDS women must accept the divinity of Section 132 to be members in good standing won’t work for me. I’m not intending to be harsh. But sometimes I don’t think the scope of the problem is perceived by those trying to fix it. Thanks for taking the time to respond to the comments here. Seeing that Plural marriage was part of the restoration (or was it? Question was father Abraham a righteous and holy man that received the choicest blessings that we all want to be adopted into his family) If you want the blessings of Abraham you must do the works of Abraham… Does that mean we need a Re- restoration? Did the Manifesto end the restoration of ALL things? I understand this, in context, to refer to Abraham’s willingness to obey God regardless, and to sacrifice whatever was required (up to and including the sacrifice of Isaac, which also risked all the covenant promises which Isaac represented). Jesus uses the same expression to refer to the faithful reception of his revelation which the Jews of his day refused (John 8:39). In other words, I see the “works of Abraham” as referring not simply to plural marriage (though it applied to that), but to our willingness to love the Giver of gifts, rather than the gifts themselves. As Abraham’s case shows us, when we do that we also end up with better gifts than we could imagine–but it is a very hard thing to do when we are faced with it, especially when we do not know the end of the story. Harold B. Lee endorsed that sentiment (Teachings of Harold B. Lee, 192). Perhaps for some of us, that challenge will be following a prophet like Joseph who practiced plural marriage. I find it fascinating that all the people discussing this and attempting to make excuses for it are men. Polygamy does NOT have the same meaning to you as it does to women in the church, believe me. It is very offensive to me as a woman. It is also very repulsive to me, as a mother of 3 girls, including a 14 year old daughter, to think of Joseph Smith asking for my daughter and promising us the Celestial Kingdom if he could have her. He asked the Kimballs for their daughter, not the other way around. And there are journal accounts that prove he slept with her, and also that she had no idea that was going to happen to her. I am also extremely disgusted as a wife, married to a wonderful man, to think of Joseph Smith marrying women, including those whose husbands he had sent on missions. There is no way of continuing to explain or rationalize Joseph’s actions. They were wrong. It is time for the LDS Church to make an official apology, and say something like “We are sorry. Joseph Smith’s actions in regard to polygamy and polyandry were wrong. It was wrong for him to deceive and treat Emma that way. We can’t change the past, but as you can see, we removed this practice and will excommunicate anyone engaging in it now.” Then they could go on to testify that Joseph Smith still translated the Book of Mormon, restored the gospel, etc. I PROMISE you, this would go such a long way in healing member’s wounds who are deeply offended by the continuous support and excuses for this repulsive treatment of women, especially Emma. Thanks for writing and for your frankness. I apologize for not being a woman, but that’s beyond my control. 🙂 When discussing historical evidence, I don’t think the gender of the person presenting the data makes a lot of difference. I sympathize, however, that women will think and feel differently about these matters than I will. You might find a woman’s reaction more relevant, and I can recommend Valerie Hudson’s talk (available as a recording) and related article: V[alerie] H[udson] Cassler, “Polygamy,” SquareTwo 3/1 (Spring 2010). She speaks eloquently to the kinds of concerns you’re expressing here. #2: Joseph’s relationship with Helen was consummated? – again, can you please cite the journal to which you’re referring? There’s substanial evidence that it was not consummated. See here. If you have data we’ve not considered, I’m sure we’d all like to see it. Helen wrote extensively and eloquently about plural marriage, and was convinced that it was a revealed principle for her and others at the time. #3: On marrying men gone on missions? – despite the claims made by John C. Bennett, Fawn Brodie and other fairly unreliable or unrigorous accounts, there is only one clear case of Joseph being sealed to a woman while he husband was on a mission. This is the case of Orson Hyde, and he had been gone for nearly two years at the earliest before the sealing. He also endorsed the sealing and it was repeated upon his return. This does not sound like the actions of a Joseph just itching to get a man out of the picture so he could steal his wife. See here for citations. So, I sympathize with your reaction, but I think some of it is based upon inaccurate information. That said, when we have powerful reactions to events as you do, the details of historical data may not change how we feel. As for the Church apologizing, I can’t speak to that. I don’t expect it will happen, but that goes beyond the evidence to a question of policy or doctrine. I suspect for the foreseeable future, revelation assuring us that the Church is what it claims to be and that Joseph is and was right with God is the only possibility for reassuring those who feel as you do. I talk a bit about my own experience along those lines in the second half of my talk available here (the section called “My Story”). Thanks for writing, and I wish you the best in navigating this most complex area of LDS Church history. I believe you that your feelings as a woman are not the same as that of a man, and I in no way would attempt to denigrate or dismiss those feelings. However, the male-ness of our participants in no way excludes them from being experts in the primary source materials, nor does it negate opinions and conclusions drawn from that data. Attempting to denigrate their contributions and findings within the source materials on the basis of their gender constitutes an ad hominem attack and is not acceptable. It should be noted that In the planning process for this discussion, a female expert/historian who has researched and published on polygamy in the Church was approached and asked to participate. However, her schedule prohibited her from participation in the months of July and August, so we went forward with others. As other discussions and interviews are in the planning stages, it is hopeful that her involvement, as well as that of many other qualified experts, can be utilized in the future. As for your assertion that the experts opinions presented here (based on their mastery of the relevant source materials) are wrong in their characterization of the Helen Mar Kimball marriage, please provide adequate sources and/or materials, and not just assertion, to support such. I would also recommend a perusal of the above comments, particularly those that discuss ideas of presentism and understanding of historical events within their historical context, and not attempting to rewrite them based upon our modern sensibilities. Can any Old Testament practice be restored? Recently there have been court decisions to legalize homosexual marriage in various states. It is entirely plausible that other forms of marriage, such as polygamy, might one day be legal as well. If polygamy was legal would the church adopt this practice again or was it strictly limited in time? I can’t speak for the Church, but I think it extraordinarily unlikely that plural marriage is ever coming back. I believe one function of plural marriage was to create “moderate tension” with the Church and its “host society.” Scholars of new religions note that you can have “high tension,” moderate tension, or low tension situations. “High tension” situations are ones in which the host culture tries to destroy or suppress the new religion (and there’s often hostility on both sides, of course). You see that kind of dynamic in Missouri, for example, in the 1830s. Or, the Branch Davidians or People’s Temple under Jim Jones. “Low tension” situations create the opposite problem, which is to make the new religion so alike its surrounding society that it can’t achieve the “critical mass” needed to become a self-sustaining culture or group on its own. I think the RLDS/Community of Christ are a fairly good idea of that dynamic–they started out as similar in a lot of beliefs except plural marriage, and have since really approximated a kind of liberal protestantism. This is arguably because they weren’t physically or socially isolated from the mainstream protestantism that surrounded them in American culture generally. Ironically, I think within 20 years having a variant marriage form won’t create much host tension at all. If anything, the LDS clinging to a traditional “one man-one woman” view of marriage will create more tension than polygamy ever would. 🙂 We are already getting enormous grief from some quarters about our views on gay marriage. I expect that host tension will only increase. Thank you for talking about this issue. You have to understand how to most rational human beings, the reasoning given for polygamy and the results sound like complete mental gymnastics. A few thoughts you could help me better understand. First, this does not really address issues such as how God must view women. Women were viewed as property. From my vantage point, women are not property for men and are the equal of man. They are human beings, not items for a man to collect. Do you feel that God still views them as property? Second, why the secrecy? Didn’t Emma deserve better in terms of how it was communicated to her as it developed? Third, the commentary on historical view of marriage age feels nonrelevant and a large stretch. We now have science that tells us that based on brain development 12 and 14 year old girls have little capacity to make major life altering decisions, such as marriage (regardless of whether they look older physically), and are extremely easily manipulated. Seems like an omnipotent God would understand this. So now we have laws that protect young girls from predators for this reason with very harsh legal consequences for violators. Justifying a marriage based on a “minimum age” does not change what we now know about the reality of this being predatory. Further, in terms of what was common, it seems like the issue is not as much about the “minimum age”, but rather what was common during the time and you would look toward an average or a median, with a standard deviation during the time period to better understand what was common. What does that look like? Fourth, eternal families and polygamy are completely separate issues. We don’t seem to need polygamy to have the principal of eternal families. Fifth, if we look further around what happened to the lives of women who participated what happened? Was this a fulfilling life to most of these women based on their journals? Sixth, sexual or no sexual polyandry, isn’t this simply wrong, regardless of whether a woman was separated? Finally, why would Todd be given access to documents for such a limited amount of time? I found that commentary to be interesting. He’s in the archives for two weeks and they don’t provide him his requested information until the last few hours of his time there? What is this about? What is the possibility that there was no angel with a flaming sword and that polygamy was not from God (yes, allow your mind to go there)? If you consider that, what are the consequences you see for the church if this was not an inspired practice? Could Joseph Smith still be the prophet of the restoration if he was guilty of adultery? Finally, how can people who feel that this was not an inspired practice still fully participate in the church because if this was not an inspired practice it makes other foundational claims suspsect as well, doesn’t it? I will let the roundtable participants answer for themselves. I’d like to make a few comments. 1) You indicate “You have to understand how to most rational human beings, the reasoning given for polygamy and the results sound like complete mental gymnastics.” I don’t think that is a given at all. Many people consider me a rational human being, and it doesn’t seem so. You might want to be more careful in your self-identification as part of “most rational human beings.” There are differences of opinions, but the idea of “mental gymnastics” usually indicates that you have a very different set of opinions and therefore an explanation seems strange. 2) You are concerned about the discussion of historical data where women were in a legal relationship where it was similar to property. I hope you understand that what humans have done in history doesn’t tell us what God’s view is. Please don’t assume that the panelists are confusing the two. However, if we are ever to understand polygamy (in any form, in any culture, at any time) we are required to understand human history. God’s opinions are very important, but LDS leaders have indicated that the teaching of polygamy was limited in time and is not taught. That more recent situation is a more appropriate answer to God’s opinion for us at this time. 3)Does god view women as property? No. Again, please don’t confuse human history of legal definitions with God’s opinions. 4) You state: “the commentary on historical view of marriage age feels nonrelevant and a large stretch. We now have science that tells us that based on brain development 12 and 14 year old girls have little capacity to make major life altering decisions.” Are you suggesting that the results of modern studies are able to retrofit human history into our current sensibilities? What we now accept does not change history. It is part of history, but at the tail end of millennia of ideas that were different. Comparing marriage ages in context is relevant when looking at history. Imposing information that was unknown (and unknowable) from the present into the past denigrates the past. The best guess at the age at which the mother of Jesus was married and with child is also 12 to 14. Surely you are not suggesting that God made a mistake in that selection? 5) If you are interested, there are studies of the lives of women in polygamy. There are experiences that were not good. There were experiences that were wonderful. There were women who vigorously defended the principle. The first female doctor in Utah territory was in a position to receive her education because of the principal. 6) You ask: “sexual or no sexual polyandry, isn’t this simply wrong, regardless of whether a woman was separated?” I would suggest that you look at both social and legal practices at that time in the US frontier. “Wrong” is a moral declaration, and the idea of marriage is a legal one. You are mixing ideas. What is legal and sanctioned is not “wrong.” We might feel that modern serial polygamy (marriage/divorce/marriage/divorce) might be “wrong,” but it is legal and therefore not “wrong” in that sense. 7) You ask “What is the possibility that there was no angel with a flaming sword?” It is possible just as the question “what is the possibility that there were no gold plates?” is possible. The answer depends upon factors much more extensive than just the question. For those who accept Joseph as a prophet, the answer to your question has already been answered in the same way as so many other questions that might be asked. 8) Finally, you ask: “how can people who feel that this was not an inspired practice still fully participate in the church because if this was not an inspired practice it makes other foundational claims suspect as well, doesn’t it? Whether any person believes it was inspired does not actually change whether or not it was. Disagreeing with polygamy is really quite easy today. It is the default position for society. I think the problem is that we have so little understanding of history that we judge history by our current standards, and that can create problems in the way we see things. Can someone disagree with polygamy and be a good member of the church? In current practice, I hope so since it is not condoned. I am currently not in favor of polygamy and the church agrees with me (actually, I agree with them, of course). However, my current opinion does not suggest that I toss out the entire Old Testament because Israel had more than one wife. It severely distorts the history of Israel to posit that polygamy is an issue that calls all of God’s work into question. I think Brant has made some excellent points. Our goal, I think, was to understand plural marriage and the choices those men and women made. Each person will have to judge whether accurate facts support or oppose Joseph’s claims about his prophetic status. Craig L. Foster, David Keller, and Gregory L. Smith, “The Age Joseph Smith’s Plural Wives in Social and Demographic Context,” in Newell G. Bringhurst and Craig L. Foster eds., The Persistence of Polygamy: Joseph Smith and the Origins of Mormon Polygamy (Independence, John Whitmer Books Press 2010), 152–183. If you want a taste, see Keller’s on-line discussions here and here. By analogy, there’s a lot of 19th century _medical_ or health practices that I don’t agree with, and think somewhat unwise. There are likewise economic ideas that I think foolish or even immoral (such as the lack of adequate specie to sustain economic progress and development, leading to recurrent boom and bust cycles.) These all caused a lot of “unnecessary” suffering, death, and struggle–probably more than anything caused by younger bride ages. One could just as easily ask why an omnipotent God didn’t alter these, or tell the Mormons to change them. Part of the answer, I suspect, is that God tends to work with people and cultures where they are, and slowly lead them along to better things. An older female age for marriage is also more important now simply because our society requires much more time to suit men and women to be successful at providing for themselves and their children. (Not graduating from high school, for example, is a strong risk factor in the USA for a life of poverty.) Life-expectancy was also shorter–we thus have the luxury of prolonging childhood and adolescence. You mention brain maturation–there’s also interesting data which demonstrates that pregnancy and delivery alter maternal brain chemistry and structure, providing some “accelerated maturation” of a sort–so biologically we seem to be prepared for that sort of thing, which is probably to be expected since it was the norm through almost all of human history. I think presuming that they were dupes or easily led isn’t really fair, nor is it consistent with the evidence that we have. For example, check out 16-year-old Lucy Walker, whom Brian spoke of. Whatever else you say of this young woman, she was neither gullible, nor shy about expressing herself, nor easily led. She seems to have known precisely what was a stake, and was appropriately cautious, I think. She did not simply meekly follow Joseph, sheep-like, over-awed by his charisma or prophetic pretensions. One repeatedly hears of members greeting the idea of plural marriage with skepticism and revulsion, as you would expect. Men and women, future plural wives included, repeatedly expressed their doubts and reservations, only to have those doubts put to rest by revelation. No matter how much plural marriage bothers us, I think it safe to say that it bothered them more. They lived in a conservative, Victorian culture where reputation and honor were extremely important. Many expressed the knowledge that by entering plural marriage, they would be sacrificing all hope of any but a few thinking well of them. Can people believe Joseph committed adultery and still be members? I suppose so. People can, I’ve found, hold ideas that I consider mutually contradictory at the same time. I think it would be easier to believe he was sincerely mistaken, rather than consciously deceiving. I think this stance is difficult to maintain forever, however, which is partly why the Church’s critics or enemies like to emphasize it. Certainly some have left the Church over such conclusions. Can someone still be a believing member and troubled by plural marriage? Of course–for those who practiced it were sometimes troubled, and yet they remained believers. On the question of the angel and the sword, the best source is Brian’s paper on the matter found here. Could Joseph have lied or been mistaken about such things? Of course. And, most “rational people” would probably presume that was the default answer. Yet, Joseph attracted an enormous number of strong-minded, independent folk like Brigham Young, Heber C. Kimball, Parley and Orson Pratt, Eliza R. Snow, and so forth. But, we must remember that Joseph did not simply walk out of the desert, so to speak, and announce plural marriage. He taught it as something of the final test after providing ample evidence of his prophetic bona fides–the Book of Mormon, the Three and Eight witnesses, most of the Doctrine and Covenants, and so on. Shocked as they were by the idea, those who followed him continued to do so because they had, they believed, evidence that Joseph was _not_ a predator or false prophet–in either the matter of the reported angel with the plates, or the angel with the sword and plural marriage. It seems to me that current members or investigators of the Church are in the same circumstance. And, I would suggest we ought to approach the question somewhat as they did. If we begin with and confine ourselves to plural marriage, of course our suspicions will be raised. If we view Joseph’s teachings and acts globally, then we may at least concede that he did a great deal that cannot be simply dismissed as predatory delusions of grandeur (though many have tried). And then, it will ultimately come to revelation. Will God confirm Joseph’s claims for us, or not? Of course there are more predators than people genuinely commanded to practice plural marriage. Of course there are more deluded souls or sociopaths trying to make a buck off religion than genuine prophets. But this does nothing to answer the fundamental question: which was Joseph Smith? Why would a 14 year old need to be married to Joseph Smith? Were there not men her own age? Did Joseph Smith marry himself to the wives of active members? If Joseph Smith did not have children with his plural wives, does this not go against the command to be in this marriage for the sole purpose of ‘raising seed’ unto God? Hi Scott. Brian and Craig may have more on this, but I can point you to some stuff on your questions. 1) Why would a 14 year old need to be married to Joseph Smith? Were there not men her own age? Joseph and the Nauvoo Saints seem to have treated plural marriage as a means of sealing all believers into one great family. In the case of Helen Mar Kimball, who was 14, the idea to seal her to Joseph was Heber C. Kimball’s, her father’s. Plural wife: Helen Mar Kimball. Age of wives at marriage. As far as I know, Joseph Smith did not perform his own marriages for those about which we have accounts of the ceremony. In those accounts, another priesthood holder would be delegated to perform the marriage, using language provided them by Joseph. If you mean, were some of the polyandrous marriages to the wives of active LDS men, then yes, there are at least six known or potential wives that fall into that category. For details on each case, see here. There is strong evidence that Joseph had a child by one plural wife, and as Brian Hales mentioned in the roundtable, possibly a second case in which the child and mother died at Nauvoo. See here. “Raising up seed” was one reason offered for plural marriage, but it was not the only one. In Nauvoo, as discussed in the podcast, initially the only reason which some members relied upon is that they believed that it was a commandment from God. The second most commonly-offered reason was a belief in the necessity of the restoration of all things. See here. The idea that “raising up seed” was the only reason probably relies on a reading of Jacob 2 and its discussion of plural marriage. It is possible that Jacob 2 is not discussing exactly the same issues as 19th century plural marriage, and the reference to children there may focus more on levirate marriage as an authorized exception under the Mosaic law. There is a discussion of this possibility available here and here. Many people reported Joseph telling them that he had been commanded to introduce plural marriage simply because the Church could not progress without it. Emphasizing progeny is something that received more emphasis in the Utah period. Thanks Greg! I will definitely look into your post in depth for some good reading. It takes in-depth seeking to comprehend Joseph’s doings with regard to having other men’s wives sealed to him, and also with regard to such very young wives. One must “study it out in your mind” – which includes doing much research in an effort to understand, and then one must “ask if it be right.” I will say this much, that when one begins to get answers from the Lord, it is not just a “burning of the bosom.” It is a flow of pure intelligence, showing the higher, more complete, more just, and more comprehensive reasoning of the Lord, far above the common reasoning of men who are unwilling to engage in such an honest quest. Just another quick question. What was the purpose or history behind Joseph Smith marrying Orson Hyde’s wife while he was on a mission? About Helen Kimball, if it was a group sealing, why in Family Search is she listed as if she were a wife? I believe we owe these brethren our appreciation. The history of the practice of Mormon plural marriage is perhaps one of the most difficult areas in Church history to navigate, and I’ve been consistently impressed with the quality of the work done by Messrs. Foster, Hales, and Smith on this subject. (To that list I would hasten to add Don Bradley, Bro. Hales’ indefatigable co-author and research assistant.) These men have clearly paid the price in time spent researching to speak authoritatively on this matter, and have become the sort of “go-to” sources for myself (as well as my first recommendation to others) on this subject. Kudos to you all for your work on this delicate subject from one who has polygamist ancestors on pretty much all the branches of his family tree (include a third-great aunt who was one of Joseph Smith’s plural wives).